Get your heating system serviced so you know it is good working order. Clean your gutters to avoid ice dams. Inspect and clean your chimney. Make sure you have fire extinguishers and know how to use them. Have your shovels at the ready. Keep WD40 handy to spray the shovel so snow doesn’t stick. Purchase rock salt or similar product to use on sidewalks and entryways. Check your flashlight supplies. Purchase extra batteries. Purchase a weather radio so you can stay up to date on weather conditions if you lose power. Inventory your blankets. Do you have enough for everyone in your house if you were to lose power and a way to heat your home? Install carbon monoxide detectors if you don’t already have them. Check expiration dates if you do have them installed. Purchase hand and foot warmers. If you are working, check your company’s inclement weather policy. Check all internet and remote access connections if you work from home or plan to. Get your car serviced and winterized in late November. Follow your vehicle’s manufacturer-recommended maintenance schedule. Determine if you will need snow tires and if so, have them put on your vehicle. Put a snow shovel, extra windshield wiper fluid, and an ice scraper in your vehicle. Ensure your roadside assistance membership is up to date. Running out to a gas station or grocery store is the last thing you want to do the day before a winter storm. You also don’t want to be working from home and realize you can’t get online because your IT department has changed your remote access protocols. 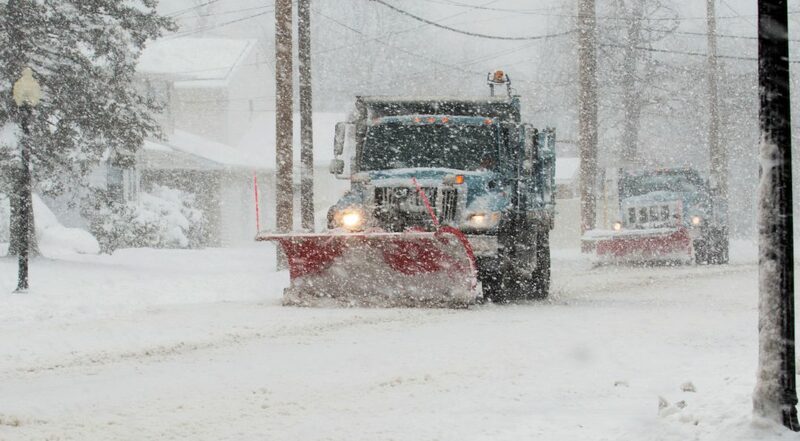 Avoid these problems and more by doing the following as soon as a winter storm is predicted. Go to the grocery store first. Get milk, bread, and meals for whatever the duration of the predicted storm is. Do this as soon as the storm is predicted. Fill the gas tank of your vehicle. Add extra weight, such as a bag of cat litter or sand, to the trunk, if you have a front wheel drive vehicle to prevent getting stuck on unplowed roads. Know where all your emergency items are and make sure you have easy access to them. Inventory your water supply. Make sure you have at least 3 gallons of water per person for at least 3-5 days. Check your prescription meds to make sure you won’t run out for at least 2 weeks. Make sure you have gasoline for your snowblower and extra shovels if your driveway is too small for a snowblower. If you are unable to clear your own driveway, contact a shovel or plowing service in advance to ensure you don’t get stranded. Stock up on flashlights and blankets in the event of a power loss. Don’t forget your pets! Pick up extra cat litter, wee wee pads for dogs, and pet food. Stay safe during a winter storm with the following tips and to dos. Let every faucet run ever so slightly to avoid pipes freezing if temperatures dip below freezing. Keep your thermostat at the same temp in the night to avoid pipes freezing. Use flashlights over candles to avoid fires. If you lose power, close doors to unused rooms and wrap pipes in towels to keep them warm. Dress in layers if you lose power. Have family members bunk up in the same bed to share body heat. Use your garage as a refrigerator if you lose power. Use the outside as your freezer. You are less likely to lose food this way. Winter storms are by far one of the most challenging aspects of life in New England, but with some advanced preparation, you and your family can stay safe and warm during even the worst Old Man Winter has to offer. Photo Licensed from Adobe Stock. January is an excellent time to take a hard look at your finances. You’re already starting to gather the financial paperwork you need to start your taxes. While you go through your checkbook for charitable donations, business expenses, and other things you need to bring to your accountant, take note of where your money is going and reassess your budget. If you don’t have a budget, it’s time to set one up. 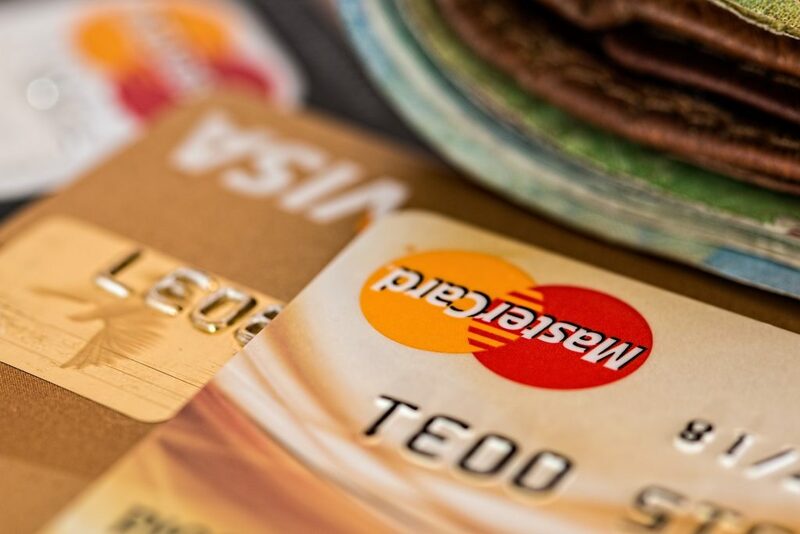 Knowing where your money goes and staying on top of how much you have to spend will prevent credit card debt, increase savings, and ensure you are prepared for the unexpected. Here’s how to create a budget you can live with. Chart It – Start by creating a simple, 2 column table in Microsoft Word, or if you are familiar with Microsoft Excel, open up a new Excel Worksheet. Label 1 column in either software “Expenses” and the other “Income”. This seems like a no-brainer, but most budgets fail because people don’t list everything, they spend money on. Creating a blank table in either Word or Excel will facilitate creating and storing for future reference. Get Into the Nitty Gritty – Start by listing all of your expenses every month. Do this by going through your checkbook or online checking account and credit card statements. Note any recurring expenses, major bills, and how much you spend in general for necessary items with variable costs such as gasoline, car repairs, car maintenance, groceries, medical expenses, prescription drug expenses, and entertainment. Be completely honest with yourself. Do not leave any stone unturned. Categorize It – Once you have a list of all of your expenses, sort them into categories. Common categorizes include: Household Expenses such as Rent/Mortgage, Cable/Internet/Phone, Cell Phone, Electric, Water, etc., Automotive Expenses such as Gasoline, Maintenance, Roadside Emergency Service Club Dues, and Personal Expenses such as haircuts, clothing, makeup, and even manicures and pedicures if you get them. Be sure to include a category for Charitable Giving and Entertainment to make sure these expenses are factored in to your budget. Add It Up – Once you have categorized all of your expenses, write down the amount spent on each item based on your most recent statement. For variable expenses such as electric bills, cable bills, and water bills, I recommend taking the last 3 payments, averaging them, and writing down the average. When every expense is listed, add up the total and write it in a final box below all of the expenses. This is the amount of money you spend each month. Review Your Paycheck – Once you’ve got all your expenses listed and categorized, review your last two paychecks and determine your average monthly income. You can also look at your W2 from last year and take your gross net pay and divide by 12 to get a monthly average. Helpful hint: if you’re online to your employer’s website, reviewing your paycheck is a perfect time to review your W-4 withholding as well to make sure it is correct in light of new tax laws. For additional information on the latest W-4 regulations, check out this articlewritten by my BNI Minutemanmember Damien Falato. Write your average monthly income in the income column of your chart or worksheet. Where Else Does The Money Come From? – List any additional reliable income you receive, such as child support payments, alimony, or income from part time work below your salary in the “Income” column of your chart or worksheet. Subtract It – Subtract your expenses from your income. If you have a positive number, that is a great start. If your number is less than zero, you will need to see what expenses can be reduced for you are spending more than you make. The easiest category to cut is “Spending”. You can reduce the number of meals you eat out, the number of movies you see in a theater, and even the number of streaming services you have. The second easiest category to cut is “Gifts.” You can significantly reduce your spending on birthday, holiday and other gifts by shopping sales and creating a gift closet, or choosing to only give gifts to those closest to you and setting a budget for each person. Maintain It – Maintain your budget by recording every penny you spend. You can do this multiple ways: Quicken,YouNeedABudget,Mint, and EveryDollaror good old pen to paper. If you use a credit card for every purchase, you can download this info into an app or online budgeting program. If you spend cash, you will need to record that as well. Keeping receipts will help you with cash spending. Then at least once a week, if not more frequently, record your spending, or download your transactions so you see where you stand before the month is out. This will make it very clear where you are overspending and any adjustments you need to make. Expect the Unexpected – Things happen. You will need to create a line item for emergency saving. Experts say you should have at least 6-9 months of income saved for an emergency. Don’t freak out if you don’t have this YET. You have to start somewhere, today is the day to start saving for the unexpected. 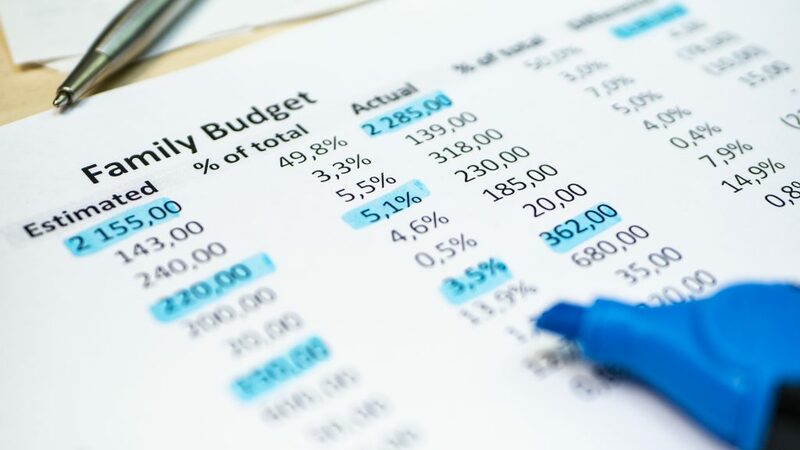 To Use Electronic Budgeting Software or Not? – Quicken, YouNeedABudget, and Mint all offer budgeting solutions. There are also a wide variety of templates out there for creating a budget in Excel. I recommend a basic excel spreadsheet that lists all of your expenses, and your income, copied 12 times, with each tab labeled for a different month of the year, and saved as a workbook. I also suggest Quicken for basic checkbook management. Quicken forces you to categorize each expense and therefore track your money more effectively. Of course, these solutions only work if you consistently update them. By creating a budget, you will no longer be in the dark on where you stand financially. It will also help you evaluate where you are spending your money and identify ways you can save for your future. Image Licensed from Adobe Stock. The holidays are over, but the cleanup has just begun. 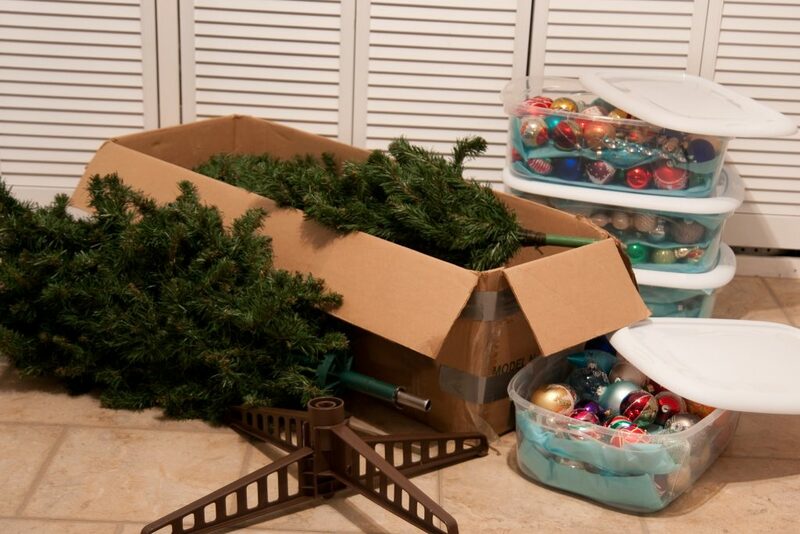 Here’s how to quickly organize your holiday décor and store it for easy access next year. Capture It– If you like the way you decorated your home this year, take a smartphone photo of each area of your home you decorated, inside and out, and save them in a file called “Holiday Photos” on your computer. You can add other holiday photos to this folder as well. You can pull these photos up next year and know exactly how to decorate your house for the new holiday season. Protect It –If you decorate a tree, you have ornaments that need to be stored. The easiest way to put away ornaments is to have a storage container that has dividers for the ornaments. This way you don’t have to individually wrap each ornament. All of the big box stores put these boxes on sale the week after New Years. For smaller ornaments, wrap each one individually in newspaper or used wrapping paper and store them two to a compartment. This will prevent scratching or breaking. Wrap It Up –Locate a sturdy piece of cardboard, cut it to 12” wide by 18” long, and wrap your holiday lights around the 18” section. Place all of your lights in a separate holiday container. An Amazon shipping box works or empty liquor box works great for this purpose. Next year you won’t have to untangle the lights when you put them out. You can also use this trick for garlands. Box It –Place holiday figurines, candle holders, village houses, and other collectibles in boxes appropriate for their size and shape. If you have the original boxes for these items, use those. If not, here is a great way to reuse all of those empty boxes that seem to be generated during the holidays, including clothes boxes, kitchen appliances boxes, shoeboxes, and even jewelry boxes. Be sure to wrap everything in a protective cover before putting it into the box first. Sort It All Out– There are 2 different ways to store room décor. The first is to put like items with like items. All your Santa’s would get gathered and put into a storage bin. The second way to store room décor is by the room they were in (if you want to easily repeat how you decorated your home). Each storage bin is labeled by room and you can list the items in the bin for easy retrieval. Label Everything! –Label your storage boxes with a black sharpie magic marker in big letters. Note the contents and the room it goes into. Put this information on the storage container lid and at least 1 side of the box so you can easily find identify the contents if the box is stacked in storage. I like to use 2 labels. One for the short side and the other for the long side of the container. Make a List –As you are putting away your holiday decorations, make a list of what you need for next year. Was your tree short of hanging ornaments? Did the lightbulbs burn out on your electric or battery-operated candles? Better to know now what you will need next year so you are sure to buy them early in the season before the pickings are scarce. Wreaths –If your wreaths aren’t too oversized, you may find it easier to store them in round containers designed specifically for wreaths. If you can’t find them this time of year, put that on your list for next year before they are sold out. Putting the holiday decorations away isn’t nearly as fun as getting ready for the holiday, but, if you do it in an organized fashion, it shouldn’t be so awful. You can always hire a professional organizer to help you if you are so inclined. What Do I Do With All This Memorabilia? Sort It– A basic, but necessary, first step is set aside time and go through it all. Discard anything you don’t want your kids to see or that carries no emotional importance. For example, it may be important for you to remember your high school boyfriend, but do your kids really need to know about him? Set aside anything that you want your children to have, or that defines who you are now. My friend still has her scrapbooks from her first marriage in storage. She wants her son to know that she and his father had a happy marriage at one point. If you can pare down what you are physically keeping to a pre-determined box or container, that will help you know what you can and cannot keep. Scan It– If your diaries or school paper mean something to you and you can’t seem to part with them, why not scan them so you could re-read them and yet, free up valuable real estate? If not, choose just a few pages, cut them out of the diary at the binding, and discard the rest. Take a Picture– If you have any large objects that you would like to remember but don’t want to store the item, take a photo of it. You could create a digital photo album of all your special mementoes’ and whenever you want to remember, look at the album. Just think of it as an early start to any downsizing you may have to do in your life! 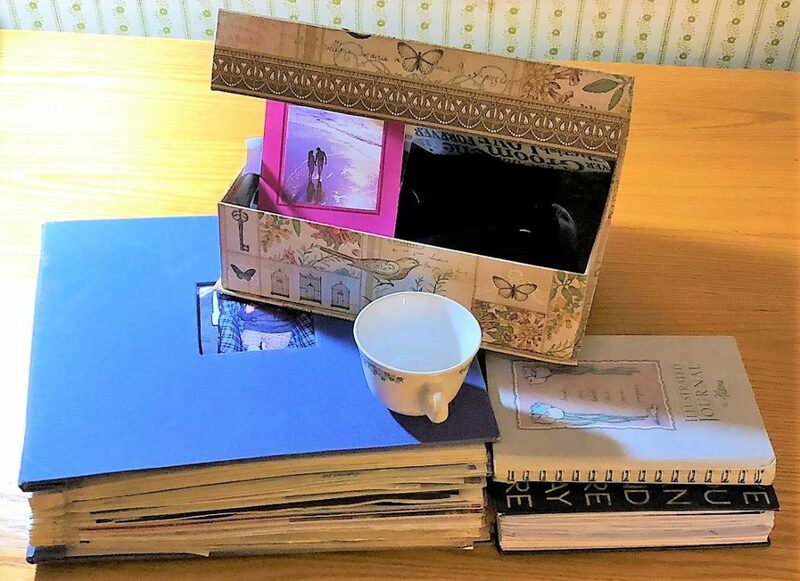 Box It – After you have pared down your memories, find a special box to store them in. If you still have too many items, maybe you need to go through them once more, so they can all fit in one box. You can easily pick up a memory box at TJ Maxx or Michaels. Choose one that matches your unique personality or the theme you are going for. Frame It – I have seen many lovely shadow boxes of themed memories. One was of special event ticket stubs. Another was pieces of fabric from beloved clothes. A friend of mine lined hers with a velvet background and put her wedding invitation, her husband’s dried boutonniere, and a swatch from her wedding dress in one. Use your imagination and see if there isn’t a theme of memories that you would like to display. What other ways have you used to save your memories? Road trips can be a lot of fun if you spend just a few minutes preparing in advance, even if you decide to hit the road at the spur of the moment. The smoother your trip goes, the more you, and your traveling companions, whoever they are, will enjoy yourselves. Here is your ultimate road trip organization guide. Maintain Your Mode of Travel– Keeping your car clean and maintained will not only set you up for a fabulous spur of the moment adventure, but make your every day life easier. Follow your vehicle’s maintenance schedule, including self-maintenance such as checking tire treads and windshield wiper blades. Set aside time once a week to clean out your front and backseat of any unnecessary items. Be Prepared for Roadside Emergencies – Even if you have a roadside assistance service such as AAA, you want to be prepared for unexpected emergencies. Make sure you have a charger for your smartphone plugged into your vehicle’s electric socket and a spare in your center console. Invest in a roadside emergency kit or create your own using a car organizer and purchasing a heavy-duty flashlight, extra batteries for it, a set of jumper cables and light reflectors/flares. Store these items in your trunk. Keep a case of plain bottled water in your trunk. Create a Cabin Emergency Kit – You can either purchase a pre-assembled kit at a drug store or create your own in a large kitchen storage bag. The kit should include band aids in different sizes, antiseptic wipes, and antibiotic ointment. You can also include gauze pads, surgical tape, and scissors. 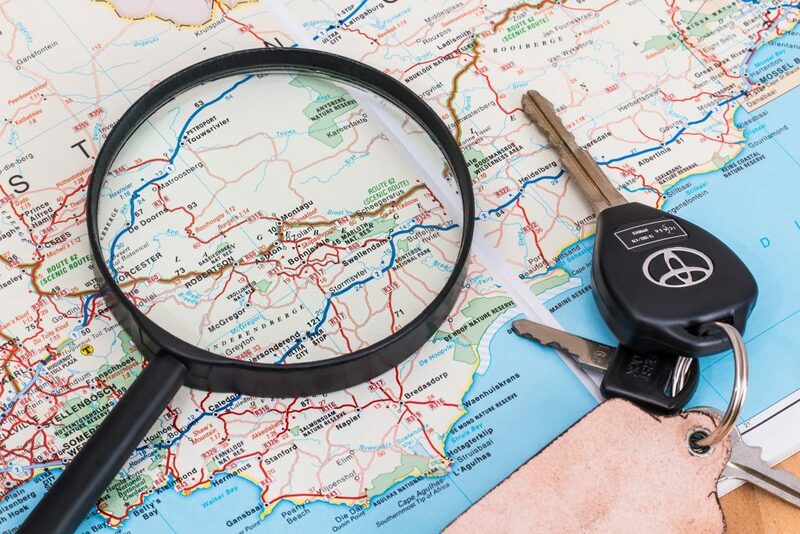 Dig Out the Map– Look up your route – or the general direction you’re traveling in – on Google Maps. Take note of the major highways and roadways you’ll be taking. It isn’t a bad idea to print out the Google driving directions in case you end up in an area, such as Coastal Route 1 in Northeastern Maine, without cell service. That way you won’t get lost. Leave Early– Going somewhere popular? Plan to leave as early as possible to avoid getting stuck in traffic. This is another area where Google Maps or a traffic app like Waze comes in handy. On Google Maps you can set your planned departure and/or arrival times and it will tell you how much traffic to expect. Waze will let you set a route and see what time traffic will be at its worst. You can then choose a time when traffic is lighter to set out. Fill Up and/or Top Off – Ordinarily I do not advocate topping off a gas tank that is at more than 1/3 of a tank, however, if you are traveling by car on a major highway, this is something you definitely want to do. Gas prices along and just off highways are exorbitant. Fill your tank, or top it off, locally before you go to minimize the number of highway or just off the highway gas stops you have to make. Pack a Cooler…And a Thermos– The only things more expensive than gas along a highway are food and beverages. Brew a pot of coffee and pour the entire thing – mixed with milk and sugar the way you like it – into a large thermos. If you are traveling with kids, take them shopping with you and allow them to pick out food and snacks they will want for both mealtimes and while traveling. Having children choose what they will eat makes them part of the trip and ensures they will want what is packed. Pack these items in a cooler and put it in the passenger area of your vehicle before you leave. Entertain The Kids– If traveling with kids, make sure you have plenty of activities for them to choose from. Let them pack a backpack with things they would like to read or do. Choose a few select activities for younger children who cannot choose for themselves. Make them easily accessible on the drive. Pack a pillow and blanket for each family member. Keep Your Mind Active– Driving can be monotonous. Keep your mind active without diverting your attention from the road by investing in audiobooks, creating a driving playlist with music you can sing along with, or engage in the license plate game. Look for out-of-state license plates and try to guess where they are going (do notattempt to approach other drivers on the road). Traveling with others, keep a box of Trivia Pursuit cards in the car. A passenger reads the questions and the driver tries to guess the answers. Go Light on the Luggage– Pack what you need plus a spare set of clothing. Skip the pricey travel-sized toiletries and pack your full-sized versions from home. If you are staying in a hotel, leave your hair dryer, shampoo, and conditioner at home and use the ones the hotel stays in. For multi-night trips, pack a day’s outfit in a large zippered plastic bag or using packing cubes. Rather than dragging all your luggage each night, grab a cube or bag for the next day. Keep a dirty clothes bag in your trunk, vs. carrying it with you into your lodging each night. A heavy-duty garbage bag works great for this purpose. Pack a Cabin Travel Bag – Place anything you think you may need while driving, or at rest stops in a large tote bag and put it in the front seat next to you on the drive. This can include bottled water, coffee, family medicines, maps, valuables and electronics such as tablets and laptops. Clean as You Go– On your way out the door, grab some plastic bags and stash them under your vehicle’s passenger seat. Collect trash and empty your trash at each rest stop. Using dish towels as either bibs or lap covers will allow crumbs to collect on the towel instead of all over the car. When you are done eating, you can roll up the towel to be shaken out at your next stop. Travel Safely– Do not put store suitcases in your vehicle’s passenger areas, even if you are traveling alone. Use a GPS with a speed limit app to keep you informed of the speed limit at all times. I love Waze for this purpose. Keep a blanket or extra jacket in your vehicle to cover up valuables you may not want to lug out of the car on a quick rest stop. Don’t tell anyone you meet at a rest stop where you are from or where you are going. Always take your phone and wallet with you when you stop. Do not leave children unattended. There’s nothing like the feeling of the open highway, even with the kids in the back seat complaining about who has more room (ah! Childhood memories!). By maintaining your car and some advanced planning you will set yourself up for a great time, either on your own or with your family. It’s very easy for dresser drawers and chifforobe shelves to become cluttered with clothing. Without careful organization, these areas can quickly become a disorganized mess. Here are some of our favorite dresser organizers we love for restoring and maintaining order to dressers, drawers, and chifforobe cabinets. Folding Board – Tired of having your clothes a mess and not being able to stack them? This tool is a must to help you fold t-shirts, pants, sweaters, and more neatly so they stack and look great. It’s a great way to also have your kids help you with laundry! 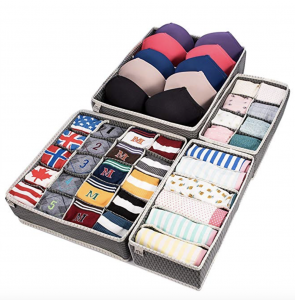 Underwear/Sock Organizer – This item allows you to customize the way you want to organize your underwear or socks. It is easy to use and cut according to your drawer size. These can also be spaced to hold compact items such as t-shirts. Drawer Spacer – Looking for a way to store your bras, scarves, belts, or other bedroom dresser items? This product comes in a set of four, allowing you to store a number of different dresser drawer items. Foldable Fabric Storage Cubes – These cubes are great for storing pocketbooks and other large items as well as for off season clothes storage. When you aren’t using them, they fold up flat and take up minimum space. Added bonus! These cubes have lots of uses outside your bedroom. These are just a few of our favorite dresser organizers. What other products do you use to keep your bedroom drawers organized? How Do You Apply for a New Job? Job searching has changed dramatically in the last five years. You used to be able to email your resume with a cover letter, and, if you were in a creative field, directly to a hiring manager or Human Resources. You could even upload your cover letter and resume into Monster or CareerBuilder and they would send it to an employer for you. How do you apply for a new job? Today it is not so easy. 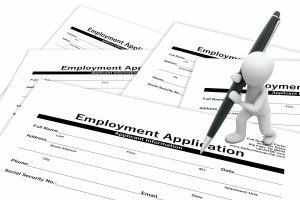 Most employers pre-screen applicants via online job applications that require you to fill out your qualifications before submitting your cover letter and resume. These applications, and the resumes, are parsed, or electronically searched, for specific keywords and phrases before they even hit human eyes. Here’s what you need to know, and what you need to have in front of you, before you click that “apply” button on Indeed. Hunt and Gather It – Before you even log onto SimplyHired, gather your resume, contact information for references, college transcripts, the names and addresses of every school you have attended, including high school and put it in one place. Having all this information in front of you will make it easier to quickly customize your cover letter and resume and fill in those online applications. Google It – Google a description of the job you are applying for and peruse both job postings, sample resumes, and the qualifications of other professionals in that field. Make a list of the skills, qualifications, certifications, and experience that come up repeatedly amongst all three. Optimize It – Now that you know what employers in your field want, SEO, or Search Engine Optimize, your resume so that those skills are mentioned repeatedly in different ways on your resumes. If a specific skill or certification is mentioned by name, you want to state its name and say your exposure to it. The more keywords in your resume, the better the chance it will make it to the next level. Check out this example on LiveCareer for an example of how to accomplish this. Detail It – Your resume should include a list of technical skills, i.e. : Microsoft Word, Adobe, etc. It should also demonstrate that you have used them in your job experience detail. Be sure each job description on your resume does this. For example, instead of saying “Developed press releases” when a job calls for MS Word, say, “Used Microsoft Word to develop press releases.” These days employers know better than to pull in a candidate who doesn’t show the use of a particular skill they’re looking for. Naming that skill is not enough. Cover It – There is some argument that cover letters are going the way of the dodo. I say they are still important. A cover letter can explain why you’re living in one state and applying for a job in another, or a gap in your resume. 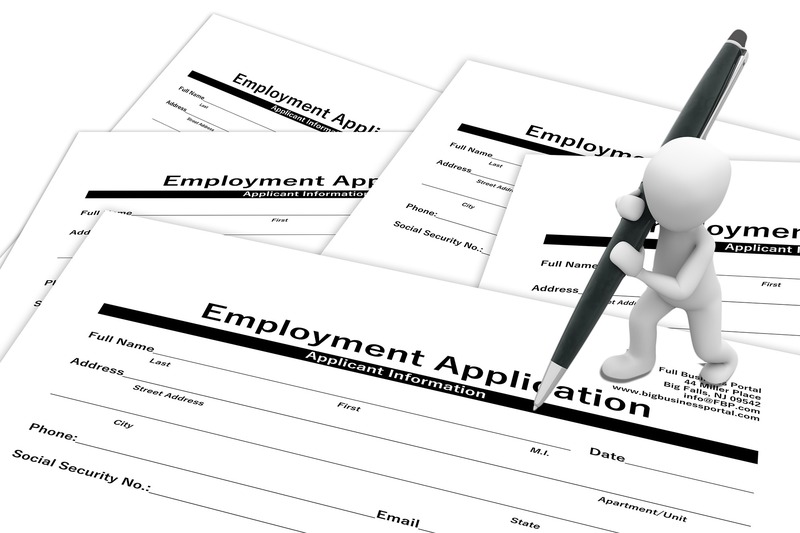 Most companies will also call for a cover letter as part of the online job application process. If not, a cover letter can easily be added to your resume and the two documents can be combined into a single Adobe PDF. Make sure your cover letter is Search Engine Optimized, and that everything you have on your resume matches your cover letter. Customize It – Since you are already taking the time to fill out a job application, take an extra few minutes and fine tune your resume before you upload it. Make sure the resume states how you have done whatever the company’s job description states as the required skills and experience. Create a Plain Text Version – Odds are, your resume or cover letter will be parsed by the online system and formatted into plain or real text format. This can be awkward if your resume has customized formatting. Create a plain text version of your resume with linear formatting. This will ensure your resume is clear and easy to understand when it finally hits human eyes. Applying for a new job is not a fun task but by having yourself as organized as you can be will make this experience a more pleasurable task. Ah Lego… Sitting in their neatly boxed kits on toy store shelves these tiny bricks seem full of possibilities. Lego has been proven to foster creativity, build imagination, and improve problem solving skills. They are also an excellent way to spend quality time with your child. There are almost no downsides to a good, inexpensive box of Lego bricks. That is, until you stumble out into the kitchen for a cup of coffee and step on a forgotten brick. Ouch! Here’s how to store and save Lego creations while enjoying all of the benefits of Lego bricks and avoiding accidental foot torture. 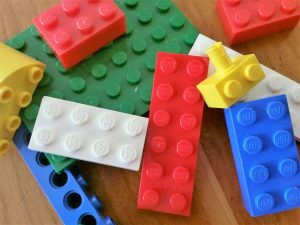 Sort It Out – Sort out the Lego bricks that will be difficult to find in a large container. These include the tiny connector pieces used to connect pipes, tiny flat pieces, single dot “1×1” bricks, specialty pieces from previously assembled and disassembled kits, and especially wheel pieces. This will be invaluable for the next time you build free form, or lose a piece for a Lego kit to your carpet mid-build. Stack It – Stack or store difficult-to-find Lego bricks in a stackable storage container. Stackable craft containers are ideal for this purpose. You have easy access to all of the pieces you need without a lot of space. A client and her son used this system for years with great success. If you want to decorate and stay true to Lego, you can purchase large storage bricks in bright colors directly from Lego. Using the bricks as a limiter to how many Legos may be accumulated is also a great trick! Store It – Many Lego brick sets come in their own plastic storage containers. I recommend Ikea’s Trofast line to store Lego bricks. Trofast is also inexpensive and allows you to customize both the configuration and the storage bins you want to use. Trofast also has longevity. This system can be used to store video game components, makeup, and school supplies when your child ages out of Lego. 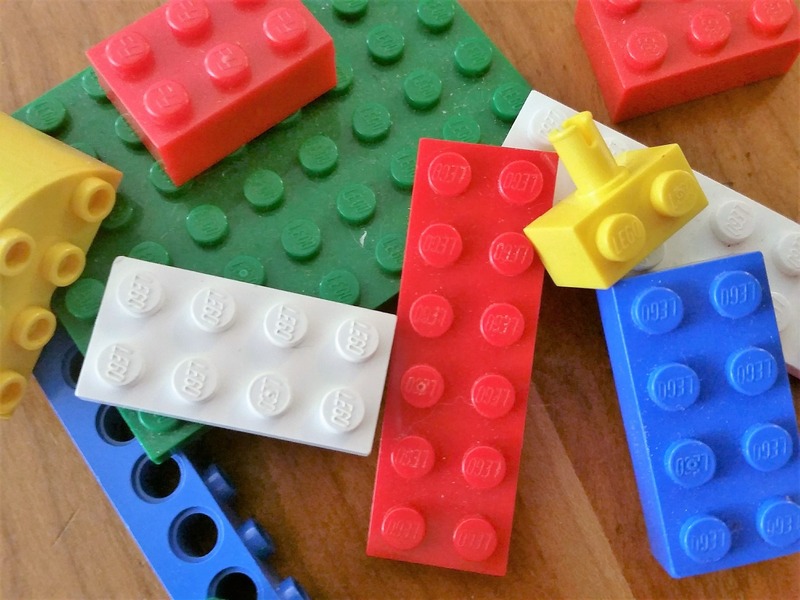 Lay It Down – Store a plastic play mat with your child’s Lego bricks. Have them take out this play mat and build on it each time they play with their Lego bricks. I personally like this one, that has a drawstring and automatically gathers up all of the bricks when your child is done playing and it’s time to clean up. Play-Again Kits – Some Lego kits are designed to have a “play with it after” component. The Ninjago, Minecraft, Disney, and Powerpuff Girls sets, for example, have minifigures that can be played with on whatever the particular kit creates. Set aside space to temporarily store these repeat play kits. Hint: if you have a train lover, the Lego Train sets can be built upon for years and store easily in under-the-bed bins. Show It Off – Many Lego kits, such as the Architecture series, are designed to be built once. Once the Lego creation is done, what do you do with it? Anything built with a Classic Set should be dismantled and the bricks saved for the next project. For the one-time build sets, set up a temporary space to display a limited number of these creations for a limited time. After that time is up, break down the bricks for the next project. Donate Them – Some children never outgrow Lego, no matter how old they get. Others eventually stop playing with Lego bricks and take up other hobbies. When this happens, contact your local charity and donate the bricks. If there isn’t a charity that can accept them, contact a consignment shop, secondhand toy store, or your local Salvation Army or Goodwill. These organizations will take the bricks off your hands. Lego bricks are a great way to connect with your kids. 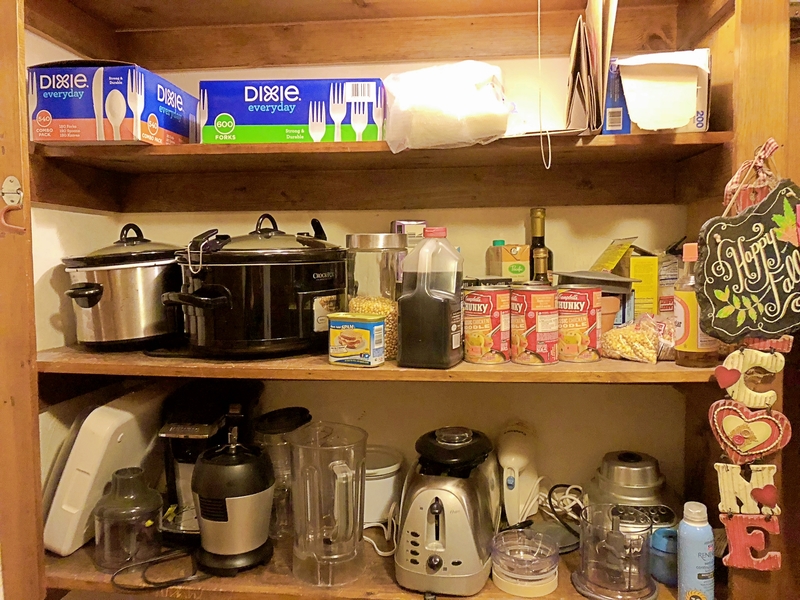 With a few basic storage tools, you can spare yourself the pain of unexpectedly encountering those painful bricks, stay organized, and build cherished memories for years to come.